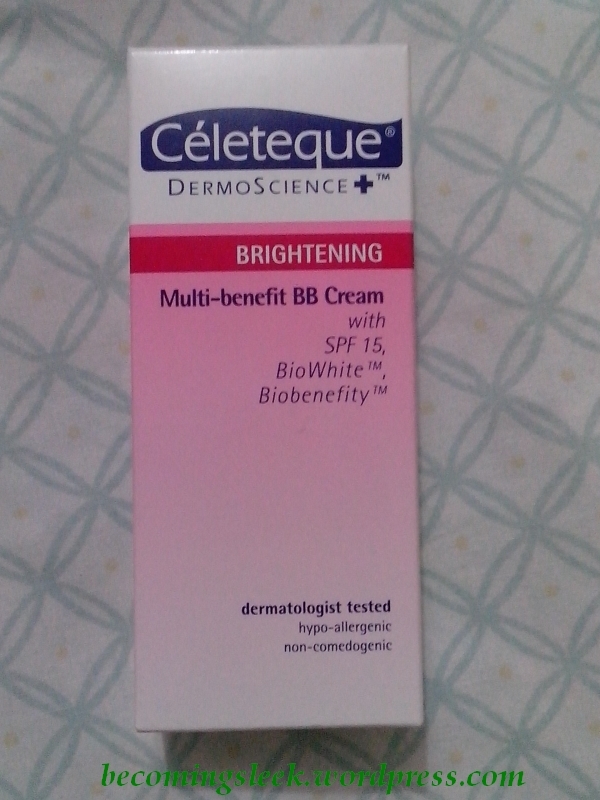 This is my current favorite BB cream: Celeteque Multi-benefit BB Cream. 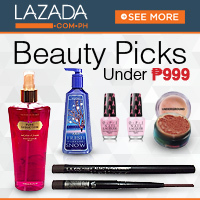 I got this on my May-June haul, bought at Watsons Greenbelt 1 for only Php325. It comes in a thin short 30-ml tube. 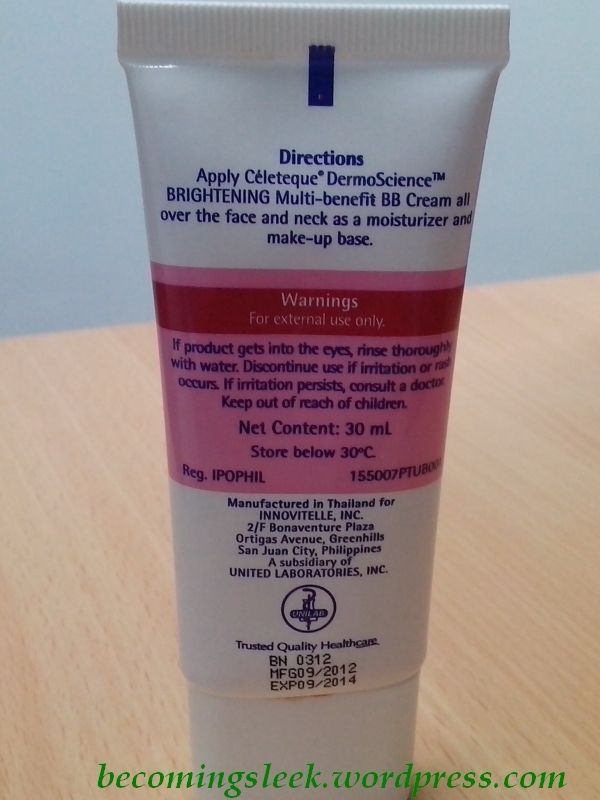 For information regarding ingredients and how to use, check out Celeteque’s page for this BB cream. 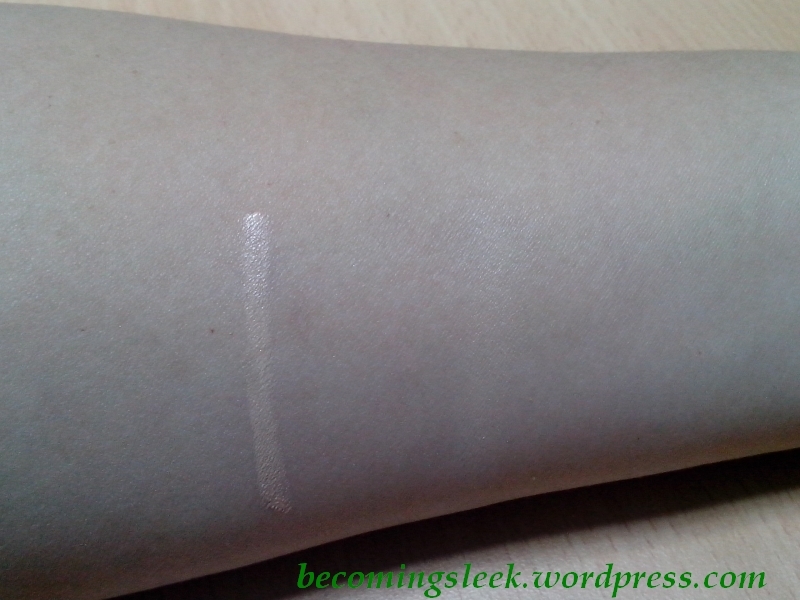 Basically it can be used alone similar to a tinted moisturizer, or it can be used as a face base under foundation. I use it mostly for the former. Check out the back of the tube, it has expiry information at the bottom! Here is the swatch on my arm. Left side is unblended, right side is blended. Let me show you how it looks on my face. 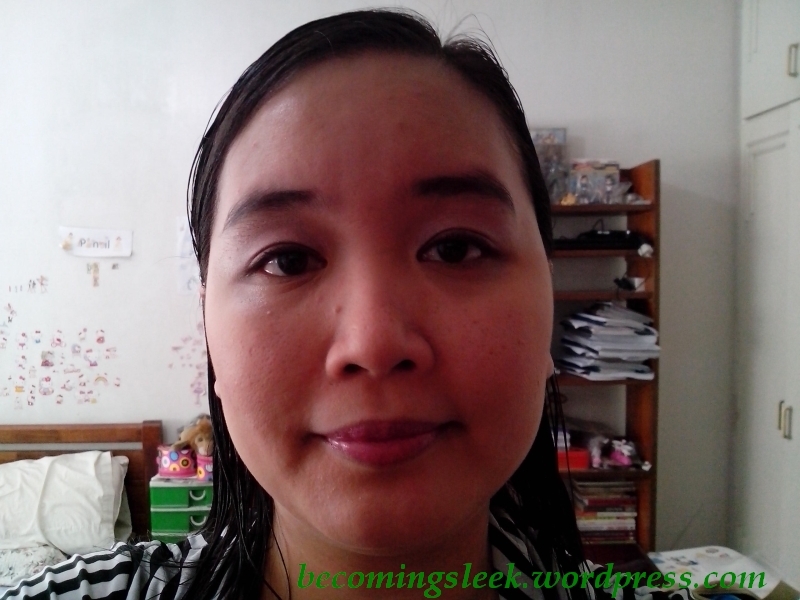 Here is my prepped face, after washing with Celeteque Hydration Facial Wash and applying Celeteque Tri-Benefit Power Cream. 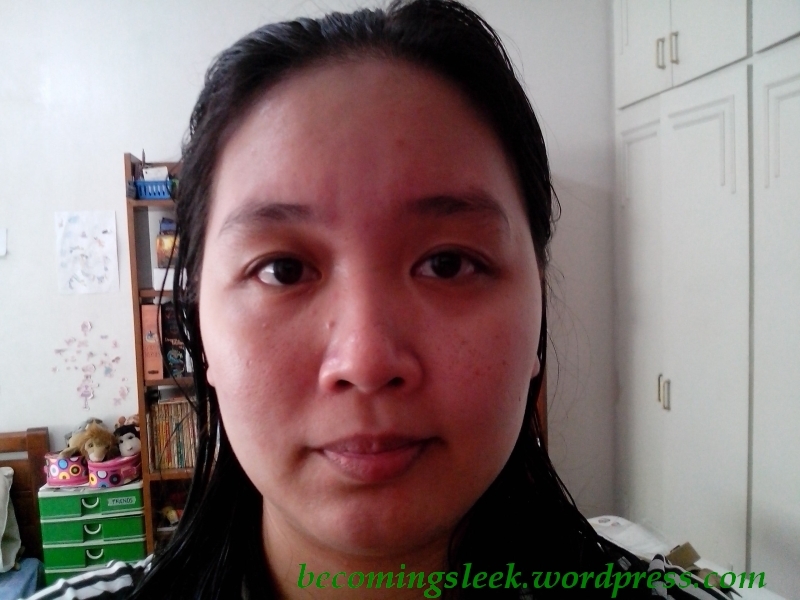 And here is my face after applying a layer of Celeteque Multi-benefit BB Cream. 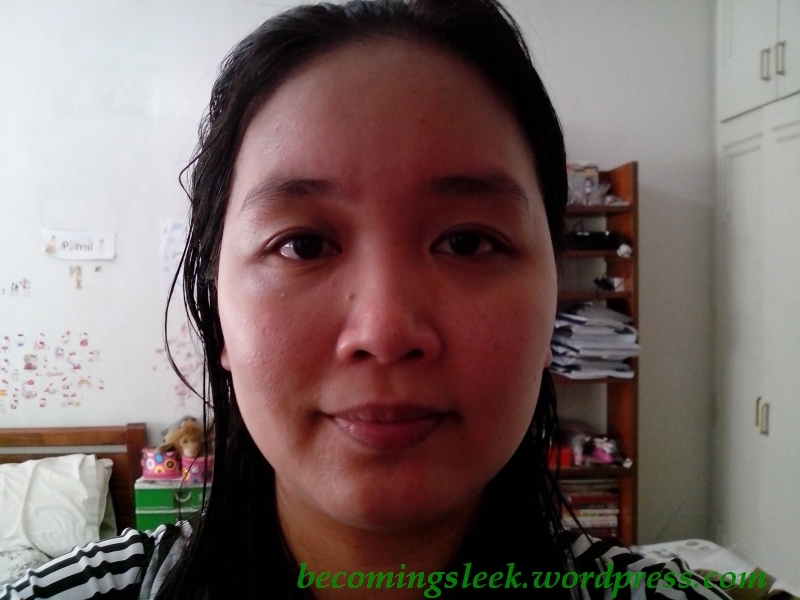 It looks much smoother (although the pores are still visible) and dewier. Finally, here’s the look for that day with makeup on. I used my Ellefar Twilight palette (will post swatches of that soon) for the eyes and Bronze palette for the brows, Nichido palette for the cheeks, Nichido loose powder as finishing powder, and Snoe Mauve Movement Lipstick for the lips. I really like this BB Cream. 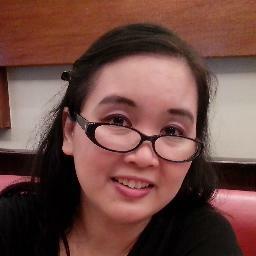 It doesn’t make my skin react, and it has moisturizing and SPF factors already. It reduces the amount of prep time I need in the morning. The only disadvantage I can see is that it only comes in one shade, and may not match darker shades of skin. 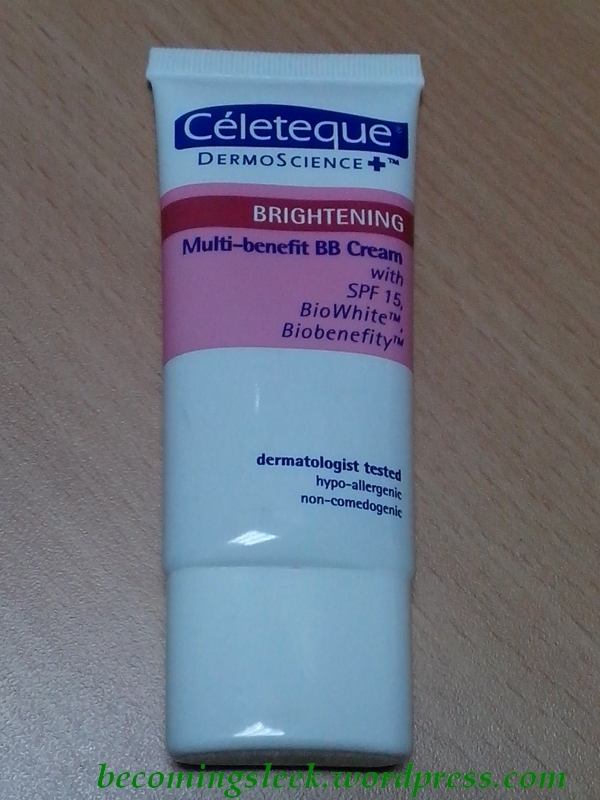 6 Responses to "Review: Celeteque Multi-benefit BB Cream"
Ito talaga ang habol ko sa giveaway mo! Haha agree! It might be the best item in that lot! oh this is cheaper than i expected it to be. i used to think celeteque is very expensive. i remember buying one item from them before and namahalan ako. i wonder if mali lang ung naalala ko or they lower down their prices.